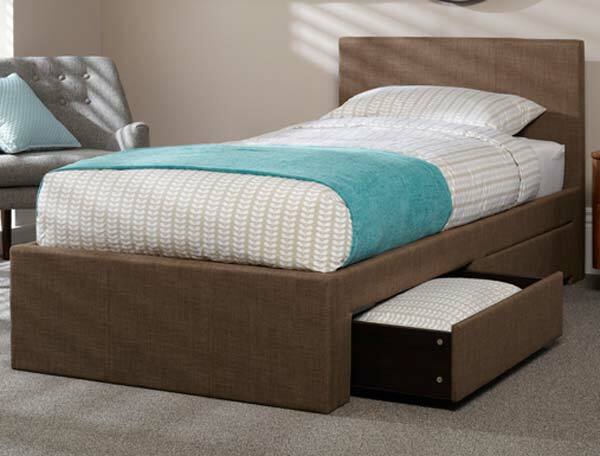 The Scarlett is new for 2017 and follows on the great success of the Carra faux leather drawer bed. 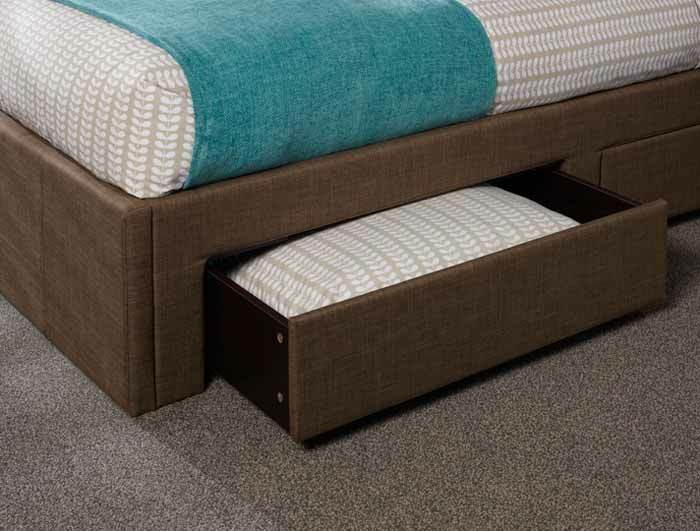 The Scarlett offers 2 under bed drawers which are free standing and run on castors on the floor. 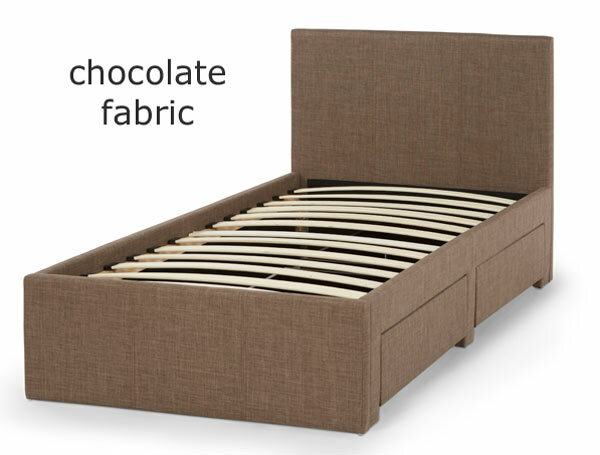 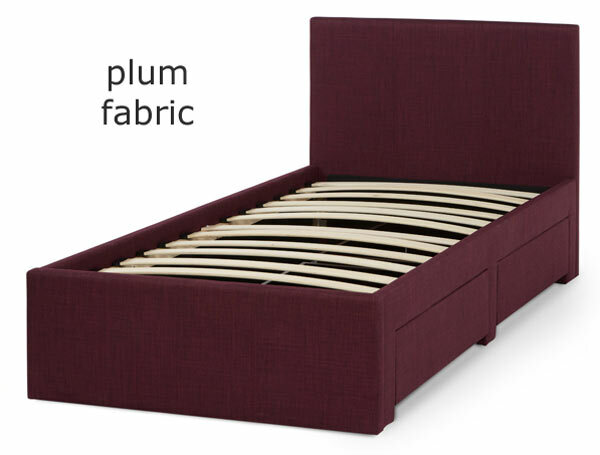 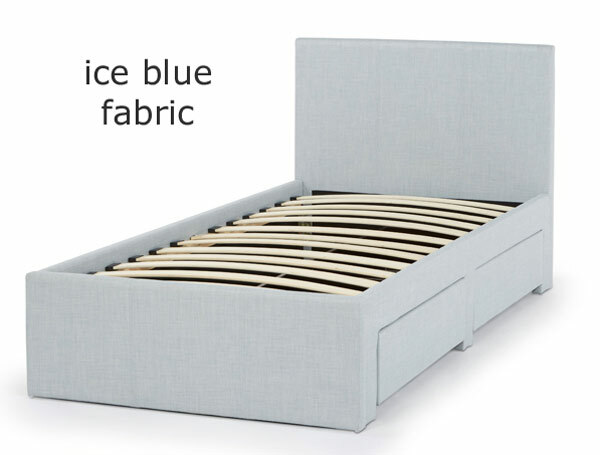 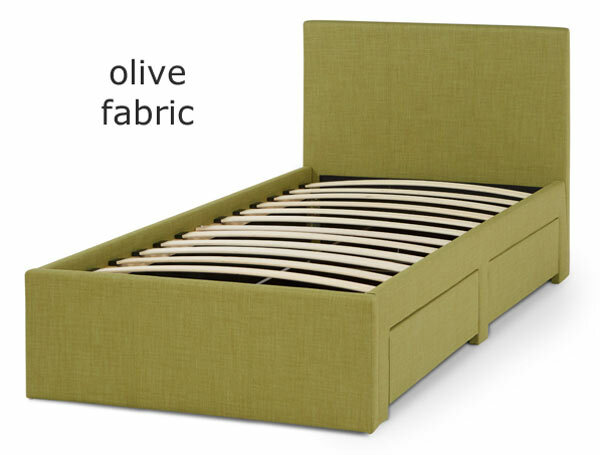 This stylish single fabric bed frame is available in 6 colourways ice blue, linen, olive, plum, chocolate and wholemeal and is supplied flat packed for home self-assembly. 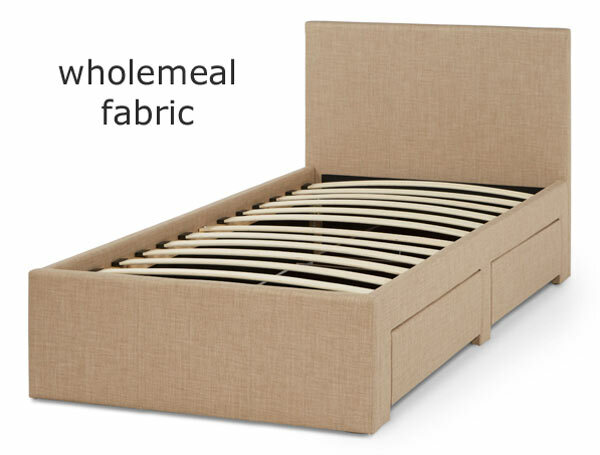 Like all Serene bed frames it will be delivered direct from their factory (based in Birmingham) to your front door in 7-9 working days and is free of charge to most areas. 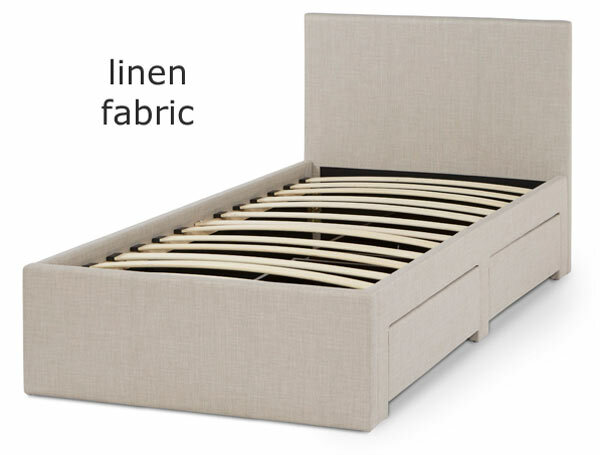 Please note Serene will not deliver to the following postcodes KW, IV, AB, PH, PA, DD, Northern Ireland, Isle of Man, Isle of Wight, or any other non-mainland address.